Save up to 80% on your parcel deliveries with NI Parcels! We offer cheap courier services within NI, to Ireland, Mainland UK and 200+ countries worldwide! NI Parcels compares quotes from top couriers to bring you the best price for your delivery. Whether you need to send a one-off parcel, or perhaps you’re a small business owner who needs a daily shipping solution, NI Parcels can help you make significant savings. International delivery to 200+ countries worldwide. £50 free compensations cover per item. Want to know how much you could save with NI Parcels? You can get a quick quote any time, using our handy price calculator! NI Parcels offers cheap parcel delivery from our network of top couriers; including Parcelforce, DPD, City Air Express and Captain Courier. We have negotiated great low rates with these leading couriers and we can pass these savings onto you! You’ll get the same quality courier services that these companies are known for – but at a much lower price. As well as being a cheap and cost effective courier option, NI Parcels is also extremely convenient. Our easy online booking and payment system means you don’t even have to leave your house when you need a courier. It takes just a few minutes to book everything on our website – or you can call us if you would prefer and we’ll take your order over the phone. All parcels sent with us are individually priced based on their size and weight to ensure you get the best value for money. Our payment system is secure pay as you go – which means you pay for your parcel deliveries on the spot. No need for bills or invoices and you don’t need to sit down and create a complicated account – your name and email address is all you need to get started with NI Parcels. NI Parcels provides cheap courier services within Northern Ireland, to the Mainland UK, throughout Europe and Worldwide. We offer parcel delivery to 200+ countries across the globe, allowing you to make significant savings; whether you’re sending a present to a relative in Australia, or perhaps a small business that needs to ship bulk products to Canada – whatever your need for a cheap courier service, NI Parcels can help. NI Parcels is cost effective for deliveries of all sizes, but are prices are particularly competitive for larger parcels over 5kg. Whether you’re sending with Royal Mail or directly with a courier, large parcels are notoriously expensive. So let NI Parcels help! There is no weight limit on our service. We can send items as small as 1g or as heavy as 400kg! Get a quote any time to see how much it will cost to deliver your large package (*sniggers*). 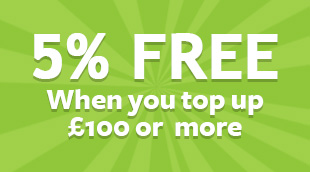 NI Parcels provides £50 free compensation cover on all items. You can increase this during booking if you wish, for a small additional fee. Before booking your compensation, we recommend taking a look at our list of prohibited and non-compensation items to ensure your parcel is covered. Need to send a parcel? Get a quick quote from us now to see how much you could save!